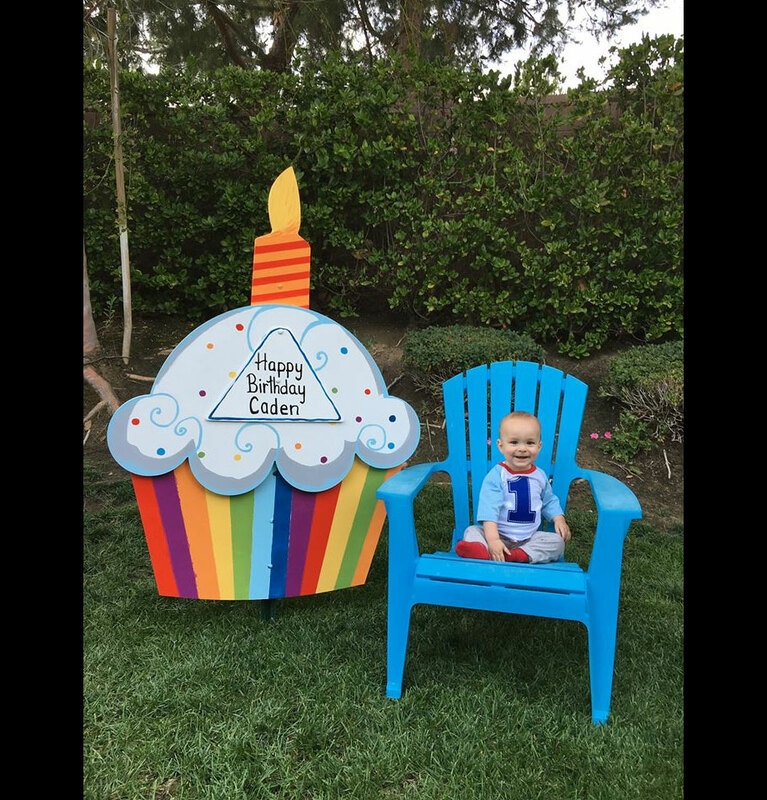 Celebrate Baby’s Birth with 7 foot Stork Lawn Sign. Sibling stars are great for big sister or big brother. Baby Shower Storks are a one-day rental. Great for decoration and perfect for indicating location. “I placed an order for a stork to announce the birth of my son after seeing it advertised at Buy Buy Baby in San Jose. I am extremely impressed with the service and the product! … the sign stayed with us after the stork was taken down and they hung a beautiful wood “Baby is Sleeping” sign on the front door … I can’t say enough about how wonderful this service is. I will likely gift this service to friends who have babies. It made us feel special . Thank you, Stork Stopped Here!! 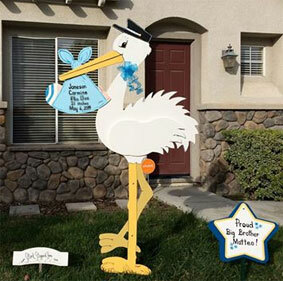 “I ordered a stork for my nephews homecoming as a surprise for my sister and her husband. THE STORK IS PERFECT! It’s huge! Looks so great on the lawn and lists all of the baby’s info and a sweet note to the new parents. Again, it’s perfect. Patti and her husband were so sweet and easy to work with! “Thank you Stork Stopped Here! We loved our stork and the service was impeccable from beginning to end. Again we absolutely loved our stork and recommend Stork Stopped Here to all of our friends and family who might be expecting! Thank you! !